If you need vision correction services or eye allergy relief, and are in need of South Jersey eye doctors taking Eye Med insurance, call the offices of South Jersey Eye Associates. SJEA is based in Bridgeton, NJ, less than an hour’s drive from most South Jersey locations and a short drive from Vineland and Millville. We accept most all major insurances, including Eye Med, VSP, Vision Advantage, Aetna and Medicare among many others. Eye Care. We use the latest and most advanced diagnostic and surgical equipment, and we can diagnose and treat low vision, cataracts and allergies, as well as performing LASIK and other vision correction procedures. We will make sure that your vision problems are diagnosed and treated properly, so that you can return to a normal lifestyle. Eye Wear. Whether your budget is large or small, we feature all types of contact lenses and designer eyeglasses. We provide eye wear at prices that are competitive with the larger retail outlets and department stores, and our professionals will sit with you in a relaxed atmosphere and help you find the ideal fit. South Jersey eye doctors taking Eye Med insurance are part of a network of providers that offer eye care to a community of over 46 million members. Eye Med is among the most popular vision care plans available today, and we accept Eye Med insurance because of their passion for helping people achieve better vision. 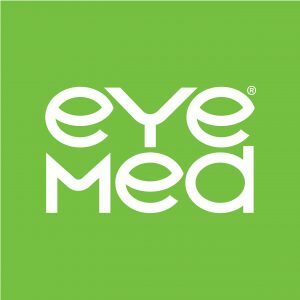 If you’d like to learn more about Eye Med, click here to access their website. At SJEA, we are committed to properly diagnosing your condition and helping with all of your vision needs. We’ll work with you on an outpatient basis if necessary, and ensure you receive exceptional care at a fair price. If you’d like to arrange an appointment, contact us today. We look forward to helping you see the world better!